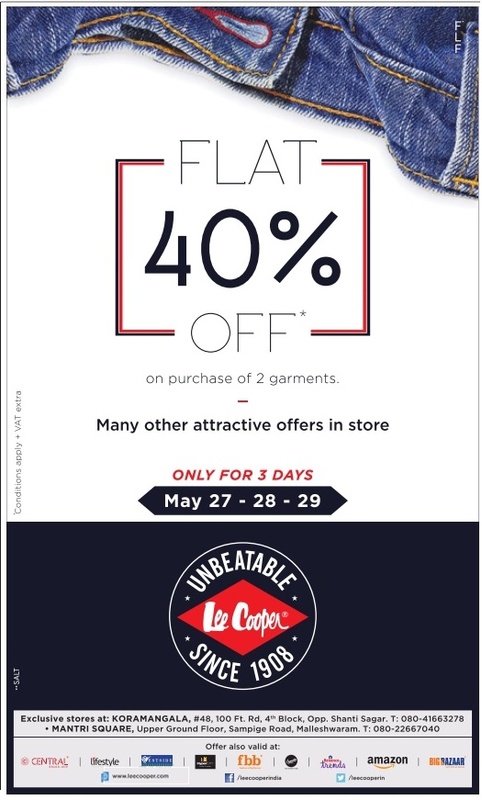 Flat 40% discount offer on Lee Cooper on purchase of 2 garments. and many other attractive offers in store. Offer valid only for 3 days. May 27 to 29 -2016.